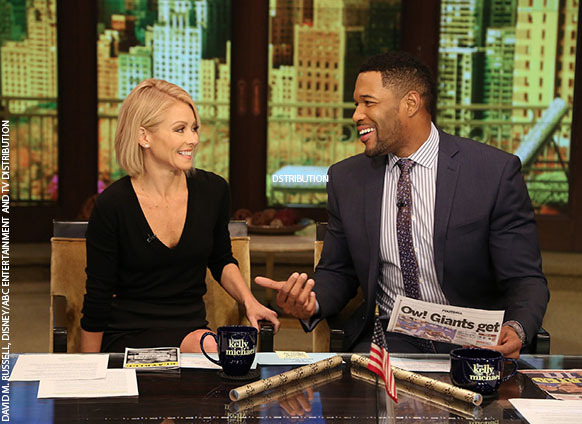 In his first career, Michael Strahan was a legend. It sounds like a lot because it is a lot. And it needs to be. 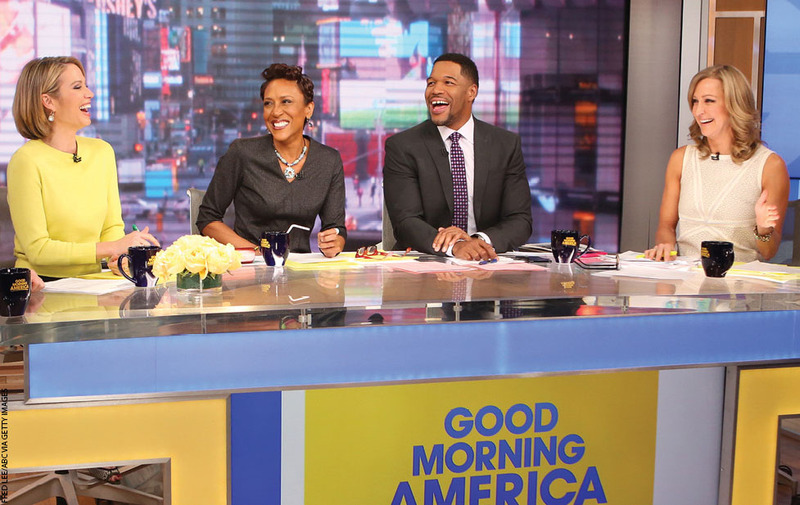 Strahan is pulling off an unprecedented second-career transition from football to entertainment. 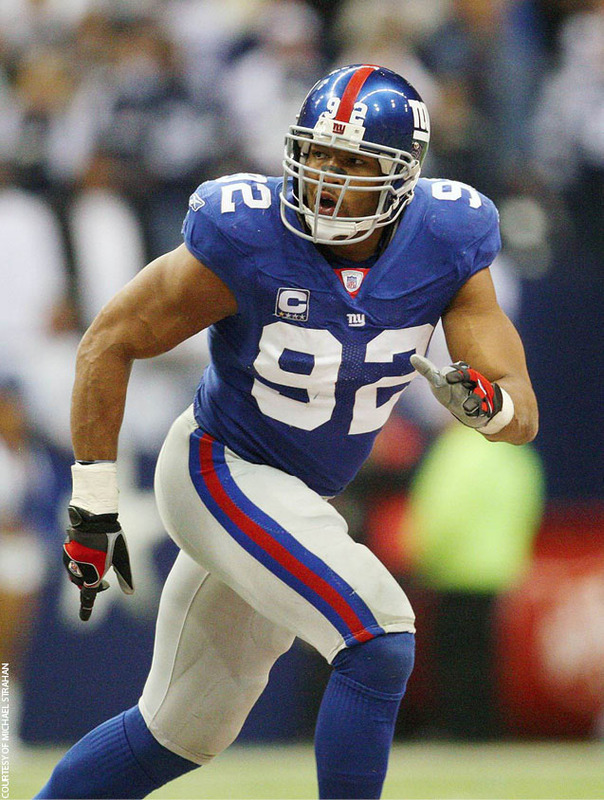 As a player, he set the record for most sacks in a single season in 2001, led his New York Giants to a Super Bowl upset of the then-undefeated New England Patriots in 2008, and earned a spot in the Pro Football Hall of Fame in 2014. He became the gold standard by which terrifying defensive ends were measured, and he maintained that spot for years. Now he’s riffing about cocktails and the Pitch Perfect movies, and he’s demonstrating a deft touch with sweet potatoes. There’s more. He’s hosting a revival of The $100,000 Pyramid, a 10-episode run that shoots in New York in April and premieres this summer. Last year, he launched his own clothing line, which is available at J.C. Penney. Nine years removed from the routines of the NFL, he still keeps his body in performance shape. Most important, he’s father to four kids, including a set of 11-year-old twin girls. Indeed, with those kinds of numbers it’s easy to forget that Strahan was considered a monster longshot for the Live job. Lots of people queued up to doubt him—including Strahan himself. “I doubt myself more than anybody else will ever doubt me,” he says, a theme that echoes throughout his book and his history. By any measure, Strahan’s road to the NFL was a curious one. To start with, it begins in West Germany, where his military family moved when he was 9. The youngest of six kids, Strahan found himself on the receiving end of the brotherly nickname “Bob,” which was innocuous enough until he discovered it stood for “Booty on Back.” Loosely translated, it meant his brothers thought he was fat. He was 13. So in perhaps the first recorded instance of a pattern he’d maintain over the next 30 years, Strahan broke through the disappointment and went to work. His mom, whom he credits with conjuring up a seemingly unending series of unbeatable meals and desserts (do not read his book while hungry, especially if you have a thing for German chocolate), backed him up. His father, whom he credits as often as he can for pouring the foundation of Strahan’s drive and dedication, helped him design his routines. Strahan would get home from school and launch into a routine that involved—of all things—a Jane Fonda VHS workout tape. He might not have been the most limber of kids, but he wasn’t going to be outworked. This morning, he is crushing a segment about hummus and sweet potato fries. It’s a little over halfway through the Live show. Strahan has already spent time riffing with Ripa about Mario Batali’s restaurant and is currently live-cooking a skillet of healthy snacks. (“I know it doesn’t look good, ma’am, but when I give you some at the commercial break, you’re gonna be begging for my phone number,” he cracks to an audience member.) He smiles easily as he seasons some nachos. When he does it, it doesn’t look like work. That’s the trick, though, and a big part of how Strahan landed the Live gig. Tons of football icons have gone on to carve out bright second acts for themselves, many of them in broadcast. 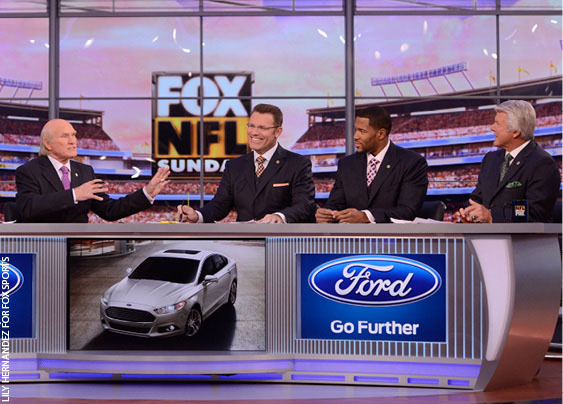 On Fox, Strahan has been flanked for eight years by Long, Terry Bradshaw and Jimmy Johnson. Others, like workout buddy Terry Crews (Brooklyn Nine-Nine), have gone into acting. But many of those guys were parlaying their gridiron personas into entertainment. They were still attached, in some regard, to football. Strahan started that way, too, in such instances as a Subway campaign ad that featured his trademark grin and the slogan “mind the gap.” Not a lot of athletes would take a seeming liability like that—the space between his two front teeth—and own it. This was one of the earliest public instances of his versatility. Strahan had a lot to handle. The chair next to Ripa was one of the most coveted plots of real estate on television, and Live spent a full year auditioning 59 guest hosts for it, including more traditional-TV options such as Neil Patrick Harris, Seth Meyers, Kristin Chenoweth and Katie Couric. There were lots of arguments, internal and external, private and sprayed all over the media, against Strahan actually getting the job. Landing the gig was another example of Strahan facing doubts and crushing them (though this was the first example involving tear-away pants). Over the years he’s learned to thrive on turning doubts into fuel for his fire. That’s something he learned on the football field. But it translates to TV and life. 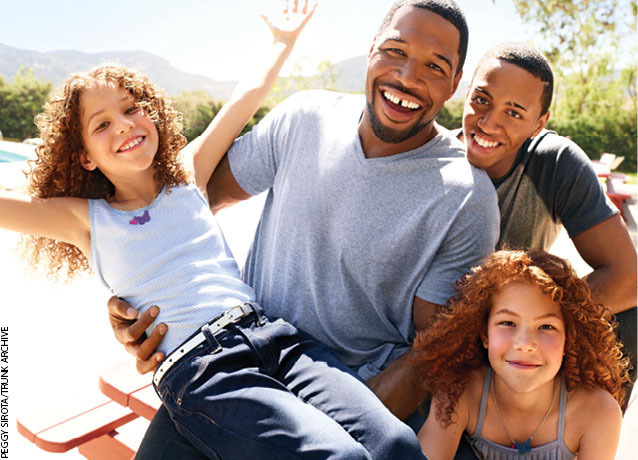 Strahan has a number of natural advantages for achieving all of these things, and the first is probably his memory. He ascribes that to being the youngest of six kids, where observation was key to attention and survival. He also credits the Giants, who made him study a 6-inch-thick playbook in training camp and plucked out particular pages in practices and on game days. “In football, you have to adjust without a second thought,” he says, “You have to remember that blitz, that call.” He claims a photographic memory for sacks, which is considerable when you count up how many he has to remember. The unconventional didn’t always come easy. Strahan writes in Wake Up Happy that his primary motivator has remained the same since he was a boy: a looming and lively fear of failure. That’s why, when he started each of his three shows, he was nervous as hell. On the surface this seems profoundly unlikely. Strahan was a football savant. The idea of him getting nervous going on football TV to talk football with other football guys is not one that automatically clicks. But Strahan says that fear is unrelated to achievement—he’s competed at the highest level and won. Rather, it’s something that he fights regardless of which field he’s currently on. In that respect, he says, his battle is universal. It’s a version of the impulse that compelled him to pop in Jane Fonda tapes. It also took effort. As he’d done on the field and before, Strahan got over his anxiety by turning his discomfort into productivity. He started amplifying his studies, looking at his teammates and competitors, picking up what he could and discarding that which he didn’t need. “I’m constantly studying, because I don’t ever think that I have it. That’s where you have to guard yourself. It’s like golf—once I think I got it I go out and play the worst round of my life,” he says. Michael Strahan is featured in the May 2016 issue of SUCCESS magazine, on newsstands April 12.